I would like to offer my warm congratulations on the launch of the Chinese Business Association of London Chamber of Commerce and Industry (LCCI). First, I have long heard about the LCCI, which has a proud history of 130 years. It is known as the largest and most representative chamber of commerce in London, with members ranging from SMEs to big companies, from British businesses to multinationals. Second, the LCCI has now new shoots with the launch of the Chinese Business Association.This is a happy occasion and significant event for China-UK business partnership. As the Chinese Ambassador to the UK, I feel duty-bound to offer my congratulations. Third, tonight is also an occasion to catch up with old friends and make new ones. I’m happy to meet Mayor Boris Johnson. Although this is our first meeting, we are no strangers to each other. In fact, we both addressed half a million people celebrating Chinese New Year at Trafalgar Square early last month. I spoke from the podium in the square while the Mayor spoke through a video, but we both sent the same New Year greetings. 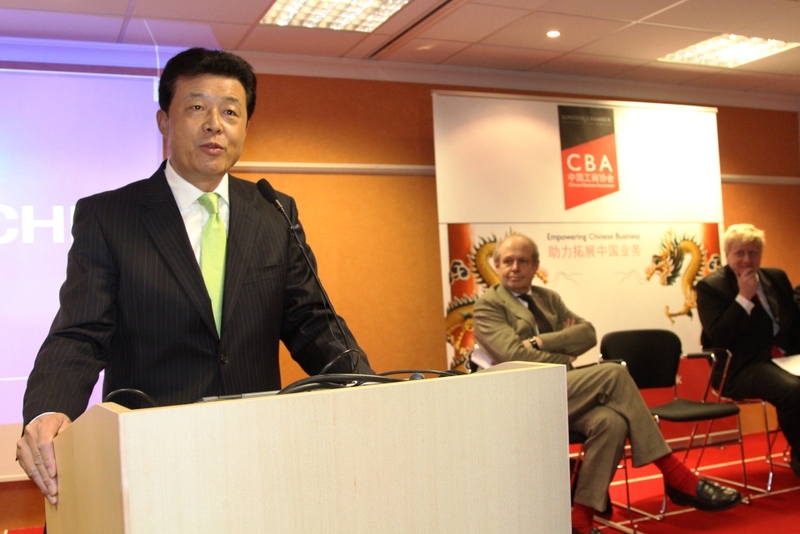 The launch of the LCCI Chinese Business Association has come at an auspicious time. China-UK trade hit a record of 50 billion US dollars last year. London, as the international financial centre and economic heartland for the UK, played its crucial part. 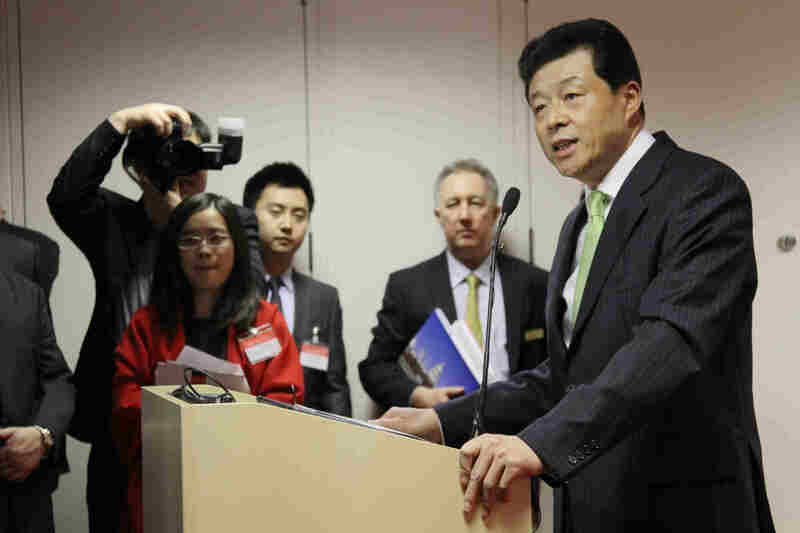 Chinese investment is growing in London, ranking the second in terms of investors. More and more Chinese banks, insurance companies, telecommunications and media businesses are getting established in London or expanding their operations here. Business and industrial leaders of London are also exporting and investing more in China to cash in on the lucrative market there. Trade and investment cooperation is the bedrock of China-UK partnership. During Prime Minister David Cameron’s visit to China last year, the two sides set the target of doubling trade to 100 billion US dollars in the next 5 years. Vice Premier Li Keqiang’s visit to Britain early January reaffirmed our shared commitment to step up all-round business cooperation and nurture new growth points. China-UK cooperation is now faced with new opportunities and promises a broad prospect. I hope that both Chinese and British businesses will make good use of the LCCI Chinese Business Association to share information and experience, expand cooperation and make greater contribution to China-UK partnership. I learnt an English saying when I was a student, which goes, "Well begun is half done." From my recent visit to Wales, I found the Welsh people value a good beginning even more, as they say, "Devpen gwaith yu ei ddechre" (starting the work is two-thirds of it). I want to share this Welsh saying with you and wish the LCCI Chinese Business Association a good beginning and every success in its endeavours!